File Photo The Easter Bunny and parade founder Kiki Angelos rode on the last float during last year’s Mid-Ohio Valley Easter Parade in downtown Parkersburg. 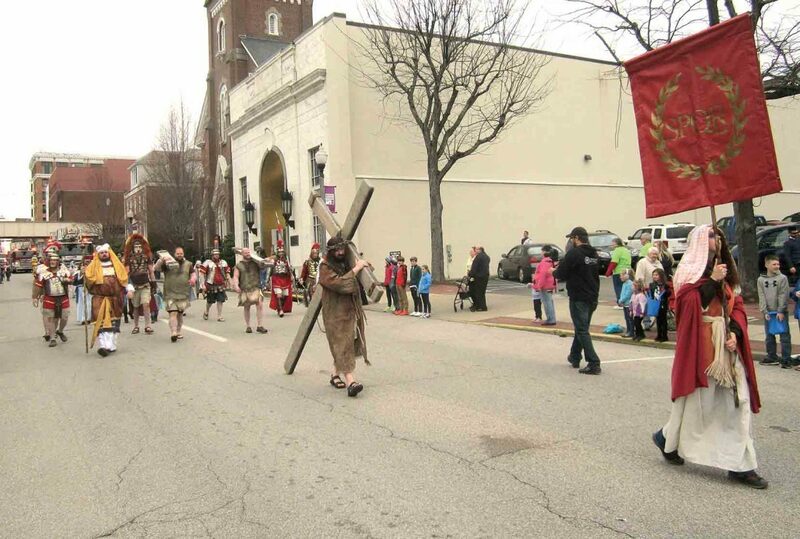 File Photo Pine Grove Baptist Church presented a re-enactment of Christ’s procession to his Crucifixion during last year’s Mid-Ohio Valley Easter Parade on Market Street in downtown Parkersburg. 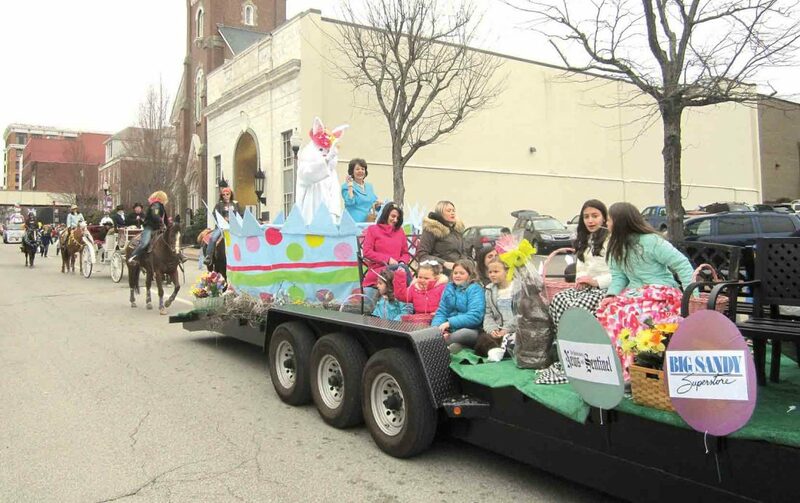 PARKERSBURG — The 10th annual Mid-Ohio Valley Easter Parade will be 2 p.m. April 13 along Market Street in downtown Parkersburg. Event founder and chair Kiki Angelos said due to this year being the 10th anniversary, there will be no entry fee for anyone that wants to participate. “This is a fantastic way to celebrate spring and the Easter season,” she said. The lineup will begin at noon and units will stage from 13th to 19th streets along Market. The parade route will run from 13th Street to Second Street. The parade will be held rain or shine. For more information, call 304-863-6516 or go online to MovEasterParade.com or on Facebook at Mid Ohio Valley Easter Parade. Applications will also be mailed out, plus available at the two Chick-Fil A’s and Auntie Anne’s Pretzels at the Grand Central Mall, Vienna. Prior to the parade, a “Breakfast with the Bunny” will be 9-10 a.m. April 13 at the Chick-fil-A on Grand Central Avenue. The breakfast is free for children who will have a chance to visit with the Easter Bunny and with the Chick-fil-A Cow. As part of the annual Easter Parade celebration, the Easter Bonnet Contest will have a new venue and sponsorship, according to MJ Alyson-Lemon, the contest chair. The Easter bonnet making contest is sponsored by The Pottery Place, Grand Central Mall, and the Parkersburg Art Center. Children and adults will have a chance to decorate and show off their Easter hats during this year’s Easter Bonnet Contest. The mall will serve as the new venue for this year’s contest from April 2-4. To make it a special event, both The Pottery Place and the mall have sponsored 200 complimentary Easter bonnets to the community’s children to help them get started on their design while the art center has donated several hundreds of Easter themed supplies to get creative juices flowing. 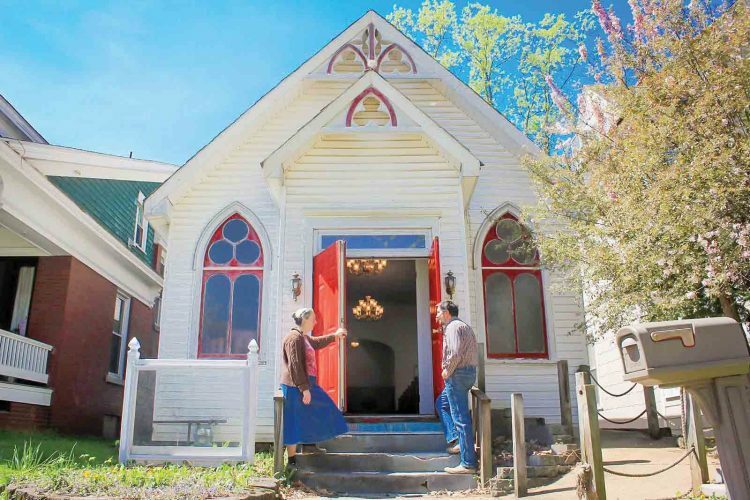 All entries will be displayed at the Pottery Place studio window from April 4-12 so everyone can enjoy the creative Easter Bonnets before the Easter parade, she said. “I think this year will be the biggest Easter bonnet contest yet,” said Angelos. Bonnet Committee members Mindy Fluharty(Grand Central Mall Marketing Director), Carrie Carlson (Texas Roadhouse), Debby Nesselroad and Kaye Tallman have been busy planning, gathering prizes and sponsors to make this a memorable event. Each age group will have their own activity day to help start their creativity on their designs, Alyson-Lemon said. Work stations will be set up in front of JCPenney and the play area with supplies. Children must be accompanied by an adult. * April 2: Toddlers/Pre-K (4 years and under), 11 a.m.-1 p.m.
* April 3: Elementary (5 -11 years), 3-5 p.m.
Bonnets will be provided for the first 100 children for each activity workshop. Children are not limited to these bonnets to use for their design. Bonnet designs must be an original design and must be hand made and not manufactured and must not be completely store-bought. For the contest, the four age groups will be: Toddlers/Pre-K (ages 4 and under); Elementary (ages 5-11); Middle/High School (ages 12-17); and Adults (ages 18 and up). The two older groups must provide their own bonnets. The age groups will be judged in two categories and will receive prizes for Most Creative and Most Beautiful. The overall “Favorite Choice” award winner will receive a 50″ 4K Ultra HD TV compliments of Big Sandy Superstore, who is also a sponsor for the Easter Parade. Finished bonnet entries an drop-offs for all age groups will be at the Pottery Place from 8 a.m.-8 p.m. April 3 and 8 a.m.-5 p.m. April 4. The studio is closed to the public from 8 11 a.m. but someone will be there to accept any bonnet entry drop-offs. 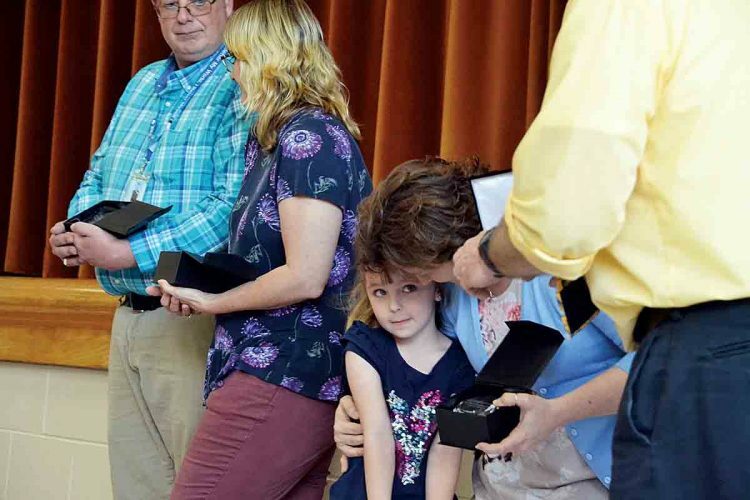 Winners will be announced April 4 in front of the Pottery Place, with judging to start at 6:30 p.m. and winners will be announced at 7 p.m. followed by the awards ceremony and a parade around the Food Court. All Bonnet winners will also be invited to ride in convertibles during the Easter Parade on April 13.